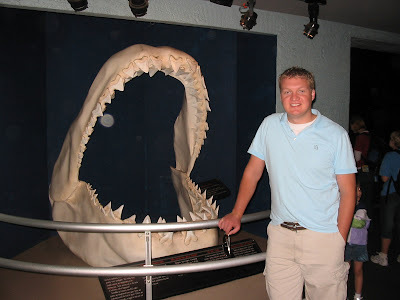 standing in front of a shark's jaw. 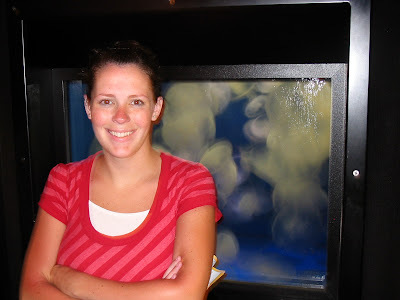 Here I am in front of some blurry jellyfish. 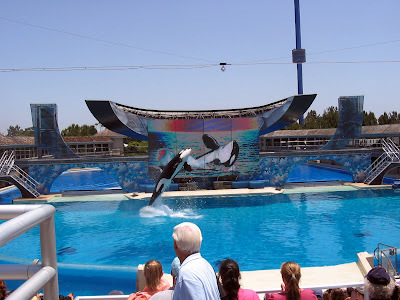 My best picture of Shamu. 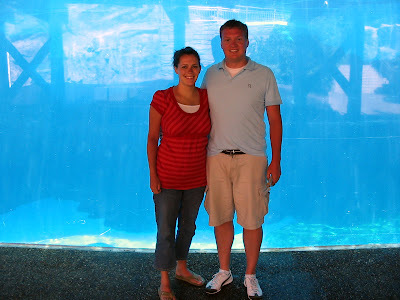 Here we are standing in front of Shamu's tank. 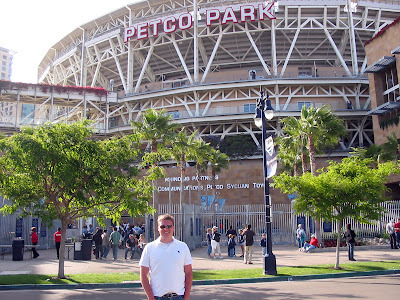 Blake in front of Petco Park. Who knew the Padres would be sold out? Luckily, we were able to find some tickets wayup in the nose bleed section. No wonder people think Mormons are weird. 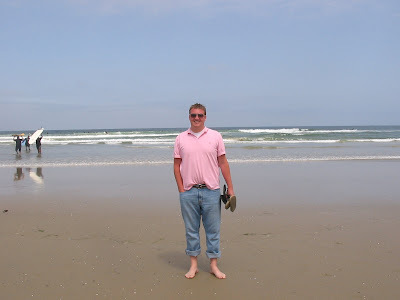 You're not helping our image with the jeans at the beach. Pack a swimming suit next time.